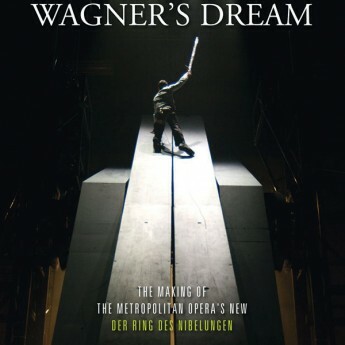 Opera’s most monumental challenge is certainly Richard Wagner’s Ring cycle: For more than a century, the ideal production of this four part, 16-hour opera has stymied directors, including Wagner himself. His cosmic vision of gods and mortals vying for power and destroyed by greed calls for astonishing stage visuals and action that takes place both underwater and in the heavens. Six years ago, visionary theater and film director Robert Lepage was invited by the Metropolitan Opera to take on the technical and aesthetic challenges of the Ring cycle, and Oscar-nominated documentary filmmaker Susan Froemke followed him on his quest. Wagner’s Dream examines Lepage’s artistic process, as well as the production team’s battles with the most ambitious staging in Met history, featuring a 90,000 pound computerized set known as “The Machine.” In this spectacular film that itself takes on all the drama of an opera, Froemke offers an intimate look at the challenges and risks of live theater as well as the tremendous creativity and unflagging determination behind this daring attempt to realize Wagner’s dream of a perfect Ring.